February 15, 2018 Dan O. See? America’s not all that bad after all! In Helsinki, Waldemar (Sakari Kuosmanen) is selling t-shirts for a living until one day when he wins big in a poker game. So what does one do when they have all this money at their disposal and the possibilities are endless? Well, one buys a restaurant, possibly, which is what Waldemar does. Meanwhile, Khaled (Sherwan Haji), a Syrian refugee who fled his home country after near-death, is looking for anywhere that he can find some sort of shelter. At first, he goes through the system and tries to become legal, but soon, he realizes that it’s going to go nowhere, except with him back at home, clinging for his life. So, he decides to make something of his life at Waldemar’s restaurant, and thus begins something of a friendship which, in 2017, has its ups and downs. It’s weird that if there’s any director out there in the world who is able tap into the refugee-crisis so effectively and honestly, it’s Finnish writer/director Aki Kaurismäki. What’s even weirder is how his usual dead-pan style, seems to have gone away. Sure, the movie’s all still look old-timey and beautiful, and the man loves having just an air of silence surrounding every scene, but it seems like, in his older-years, Kaurismäki is going to switch things up a bit and, dare I say it, “play it safe”? So is anyone going to say something? Yeah, I didn’t mean that. What I did mean is that the Other Side of Hope is another solid entry into the already-stacked and lovely filmography of Kaurismäki. While it’s not nearly as strange or as off-kilter as his others, it still deals with tragedy, humor, and heart, while never forgetting that it takes place in a real world, where real sad things can, and will, happen. It’s the kind of movie that feels like he may have wrote it because he had an idea, didn’t fully flesh it all out as much as he could have, but gets the good stuff out there for all of us to chew on and if that’s the case, then what’s the issue? After all, the movie seems to address the refugee-crisis in an honest and relatively disturbing manner: Countries that are much better-off should take refugees in, however, they don’t. Why is that? Well, the Other Side of Hope doesn’t have the easy answers to that question, but does have it to a few others, like why don’t we all love each other? Or better yet, why don’t we all just get along? It’s corny stuff, I know, but in the hands of Kaurismäki, it works well because it doesn’t ever come close to being sappy – it’s just the right amount of sincerity that it’s able to get you even choked-up a bit. Of course, had this movie just been about the refugee-crisis and one certain refugee in general, we probably would have had a much shorter, but perhaps, better movie, but as a full-length feature-flick of two men who may, or may not, come together in the midst of a crisis, it says what it says, it does what it does, and it leaves an impression. Then again, you could probably say that about all of Kaurismäki’s other movies, too. But so be it. The man knows what he’s doing. 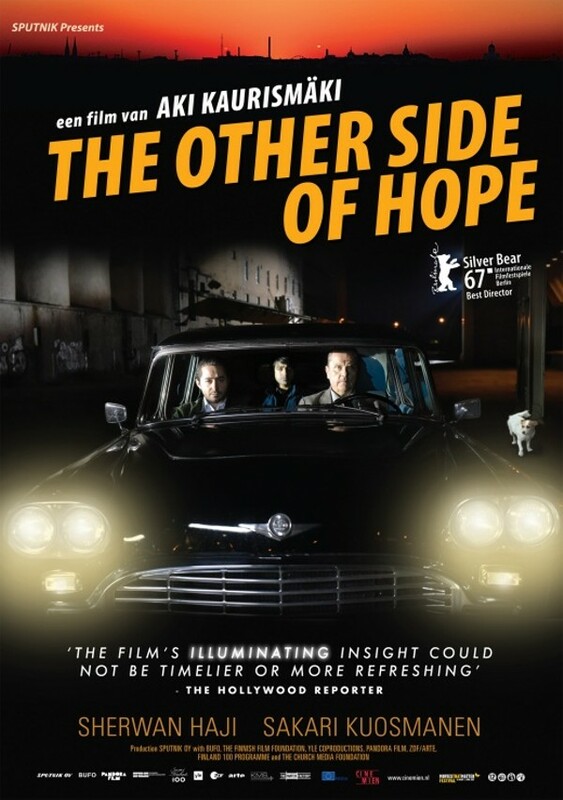 Consensus: Even if it’s not one of his strongest, the Other Side of Hope reminds viewers of the heart, the humor, and the sometimes sadness that overpowers Kaurismäki’s work, as well as puts you back into our current reality. I really love this movie. There’s manic energy and laughter here. It’s good to see such an unconventional plot and friendship.